Photos courtesy of Jen Price. Click to enlarge. 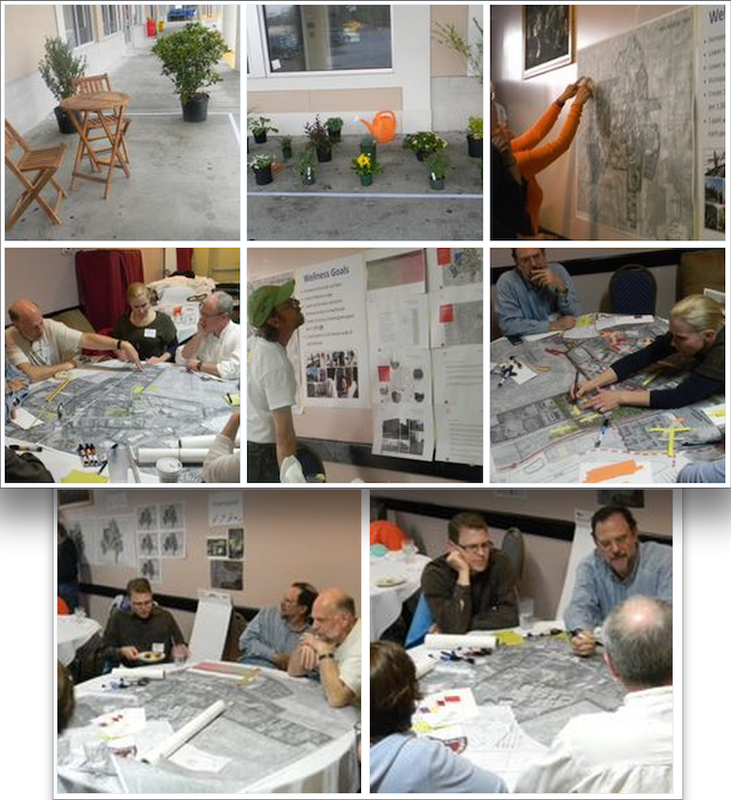 "The charrette went very well! The weather did throw a wrench in our plan for the walking portion of the charrette but we ended up using the space outside of a vacant shop in Patel Plaza to show the typical size of a pocket park as well as the size of a small community garden plot (first two photos). Tony at Intown ACE Hardware let us borrow all of the items which was so very nice of him. Dunkin' Donuts sponsored breakfast. The turnout was good for a full day Saturday commitment. We had some people leave early and a few that came during the workshop portion (35 at any given moment). Commissioner Rader came and stayed for just about the entire day. We are hoping to have a public open house to review the draft Master Plan in May."